Imagining And Thought Are One And The Same. Imagining Creates Reality. Imagination Is Reality. The Real Meaning Of Faith Is Being Loyal To Your Unseen Reality Within. Nothing Is Higher Than The Truth That Is Within You. Never Give Up On Your Dream. Always Imagine The Best In Everything! Daydreaming. Imagining. 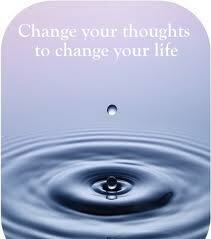 Thoughts Are Mental Activities. Taking Place In Your Inner Facualty. So The Truth Is Seeing Is Believing But It Your Feeling Thats The Truth. The Whole Universe was created in Imagination. Every Deisre And Thought We All Have Must First Be Imagined. It Is Impossible To Seperate Ourselves From Our Imagination. We Are All Imagination. Thinking, Meditation, Imagination Are All ways Of Communicating Within Our Inner Faculty. Thought Is Imagination, Imagination Is Thought. Imagination And Thought are Mental Activities Taking Place Within Us All. The Big Bang Happens In Our Mental Faculty. All Creation Takes Place Within Us All. What Makes Us Unique From Animals Is We All Have The Choice To Choose Or Re-Create Our Reality. We Are Conscious Beings, We Can Disign and Create A New World Within Today. The Truth Is The Choice Is Always Left With You. You Choose You Design. Nobody On The Planet Can Help You But You. All The World Organised Religions, The Politicians, The Government, Your Family, Your Community, Having All The Money In The World will Never Change Your Perception Or Your Point Of View. The Collective World System Wants To Make You In Their Own Image. Be Unique Be Original. The Collective World System Want To Assimilate You Into Their Way Of Thinking And Way OF Doing Things. They Use Mediums Like Politics, Religion, Mass Media like The Television, Internet, Radio, Music, Money And The World System Have Loads More Controlling Tools. Don’t Be Sucked In, You Are Unique, You Are Beautiful, Everything Thing The World Says Or Thinks About You Are All Lies. The Truth Is We All Know The World System Is Only Interested In Enslaving Us Mentally. Dont Buy Into The World Institutions Belief System. Be Orginal, Be Yourself, Think For Yourself. All You Need Is You. The Truth Is Within You And Not In The Temples Or Churches. The Real Truth About Everything Is Within You. You Are The Creative Higher Intelligence Within. The Final Decision To Change The Way You Think And The Way You Imagine Your Reality Will Always Rest With You. “The Individual” The Truth Is We All Here On A Personal Journey To Experence Life From Our Own Personal point Of View and Unique Experience. So Turn Off Your Television, Shut Out The World Today! And Start Now To Create Your Own Unique Reality. It All Begins Within You. It All Starts In Your Imagination. You Are Imagination And You Are The Creative Higher Intelligence Within. YOU ARE UNIQUE, YOU ARE POWERFUL BEYOND YOUR IMAGINATION. YOU ARE A GOD START ACTING AS THE CREATOR THAT IS YOUR TRUE SELF AND YOU WILL SEE AND EXPERIENCE MARVELOUS WONDERS IN YOUR LIFE! Start Living Your Life From Within. The Real Truth About Yourself And Life Is Within You. I Just Thought I Share My Thoughts! Have A Bless Day Truth Seeekers. All Will Be Well. I know This For A Fact. Just Believe And Trust In The Unique Truth Witthin You.